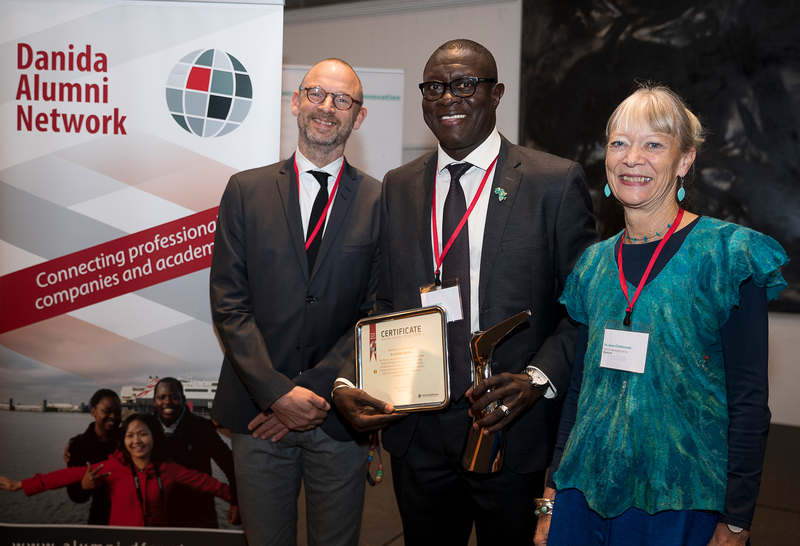 Dr. Cheikh Mbow, Executive Director of the Washington based organisation START International, is this year’s receiver of the Danida Alumni Prize. The prize is awarded annually by Danida Fellowship Centre. This year the prize goes to an alum who, based on his or her Danida funded studies, has made important achievements contributing to positive change in his or her home country or area of employment using entrepreneurship and innovation as a tool of change. Read Dr Cheikh Mbow’s acceptance speech here. The motivation to award Dr. Cheikh Mbow the Danida Alumni Prize in 2018 is anchored in his vision of developing a critical mass of experts by linking people to science particularly in Africa and Asia, using an innovative and entrepreneurial approach for research program management. In his home country Senegal, Dr. Cheikh Mbow became known as the fundraising professor after he mobilized substantial external funds to build a first-class geomatics lab and secure resources and high-end equipment for his students at the University Cheikh Anta Diop in Dakar. As a senior scientist at the World Agroforestry Centre in Nairobi, he played an instrumental role in the development of action research to improve agroforestry policy for vulnerable communities of many African countries. In his present position as the Executive Director of START International, Dr. Cheikh Mbow stands for an approach of a bottom-up advancement of science. He has already succeeded in establishing large-scale active academic partnerships and networks in Central, South, East and West Africa. Danida Fellowship Centre inaugurated the Danida Alumni Prize in 2017 where the very first recipient was Dr. Tedros Adhanom, WHO’s Director-General. Danida Fellowship Centre is established to manage short-term learning programmes and other capacity building activities, and research projects under the Danish International Development Assistance. It is a self-governing institution under the Ministry of Foreign Affairs of Denmark.